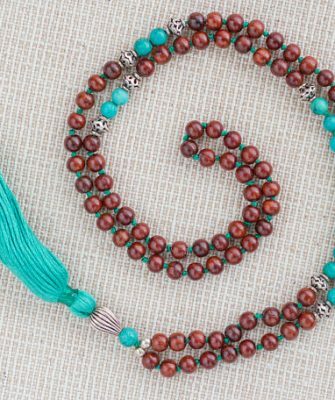 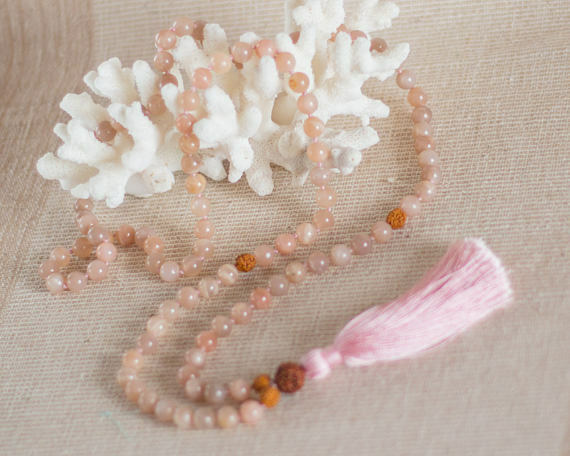 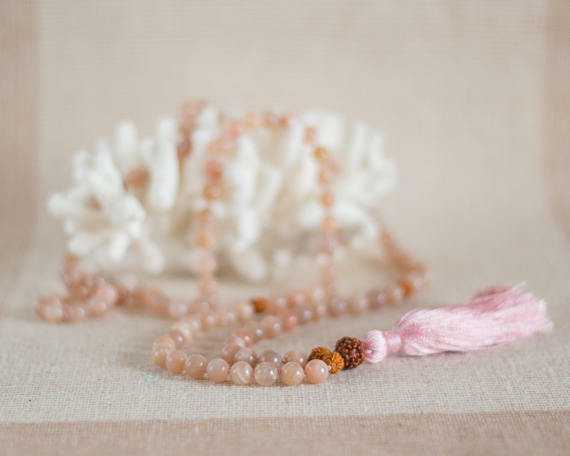 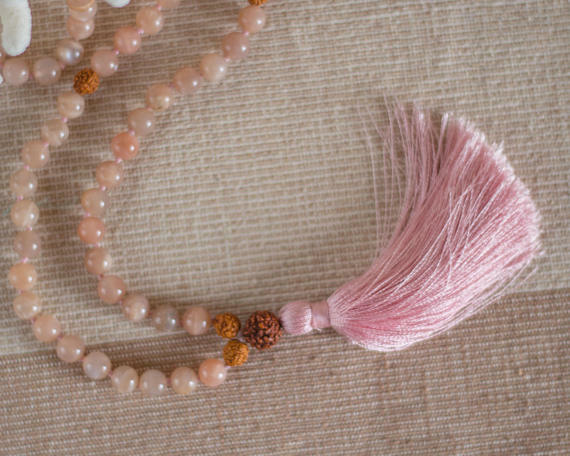 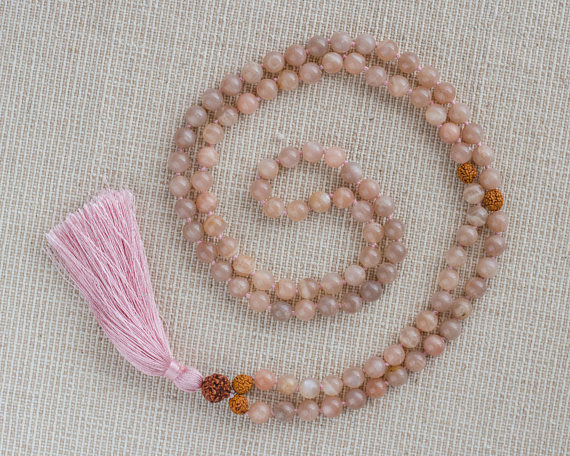 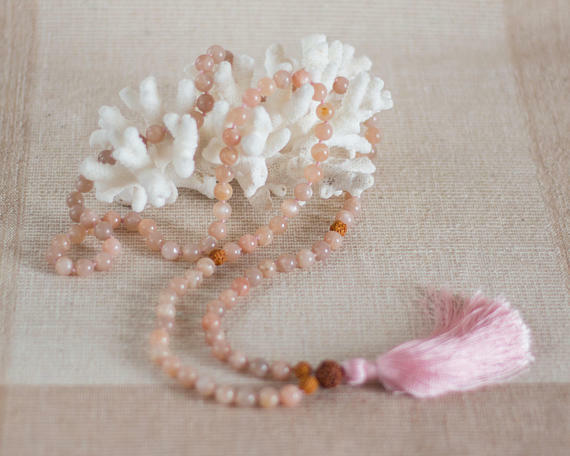 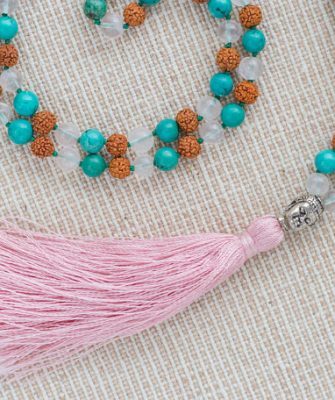 This really unique Mala is made of 108 rare Pink Moonstone and sacred Rudraksha seeds. 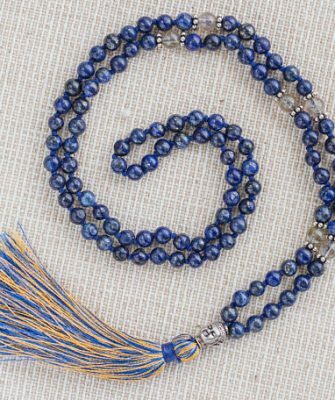 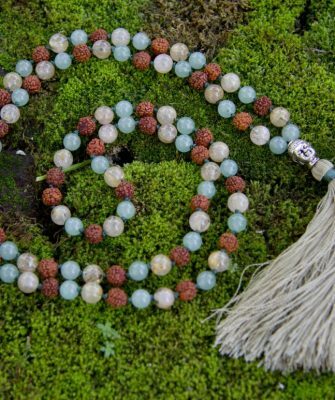 So dreamy, with a silken soft tassel and a loving and divine energy from the wonderful Moonstone. 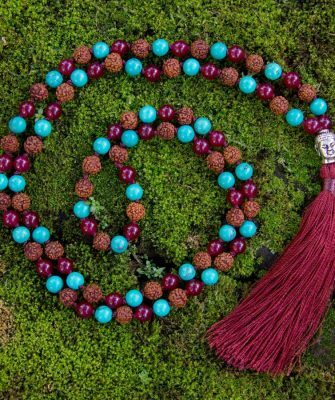 Mala measures 57 cm all the way from top to end tassel.